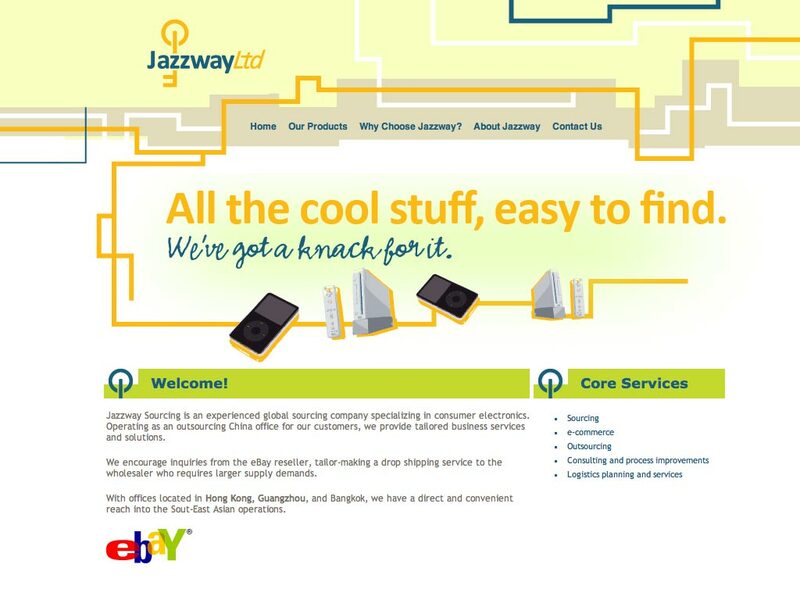 Jazzway Ltd imports electronics goods like gaming consoles and smartphones. I wanted to go completely away from what the status-quo might be design-wise. Final logo. The look was clean and refined, not overly styled in the type treatment. The icon part of the logo combines a key and a power symbol, embodying the business mission of unlocking electronics via imports for people. Final homepage comp with large call-to-action and graphics. A basic style-guide outlining usage, including fonts, color palettes and accompanying graphics. Various icons stylized using branded graphic elements.